Truth-in-Lending-Act-No.-3765 Are you looking to stay away from losing your car with a delinquent payment? Is your auto already on the way to getting foreclosed from its mortgage in bank or a private lending company in the Philippines? Or have your case of bounced check or delinquent payment already resulted in getting your case of mortgaged car in the legal department? Don’t you worry, I’ve got top 5 ways and means wherein you can actually get out of a possible car loan foreclosure. These tips might just change everything for you as this is an actual case study I did for a client in the Philippines who cares so much for his car due to sentimental value issues with his father. Please read more below and be reminded that these ways may also apply with a real estate property foreclosure case in general. Make sure to read and understand the payment and amortization terms, conditions and loan contract of the lending company be it a bank or a private lender. In case you didn’t realize it yet, a loan contract must be presented to you as a client before signing them. In the Philippines, we have a lending act, a law that actually protects borrowers from getting had or scammed, to the worse case scenario. Lending companies, from private ones to banking institutions are obliged to present all terms and conditions with respect to issues about the loan from payment to failure to pay and everything else. If they fail to explain everything stated on the contract, the borrower can raise a case at any time. The lending act or law also protects the lendee from hidden charges. This alone is illegal and is punishable by law. Read and know your rights as a borrower of any type of loan in the Philippines by reading the Truth in Lending Act. You can read the whole context of the Lending Act of the Philippines (RA 3765) at the lawphil project here – http://www.lawphil.net/statutes/repacts/ra1963/ra_3765_1963.html. Alternately, you may download a copy of the full context HERE. (full credits to the Arellano Law Foundation). Carefully analyze and read the whole loan contract before signing any document presented that requires your signature. Many borrowers don’t realize that it is of utmost importance to understand the contract itself as it may vary from the type of lending company from time to time be it from banks or a private financing firm. Don’t sign just yet, read the whole context first and try to ask questions if anything is not clear to you. Don’t rely on what is being read in your face by the presenting person. REMEMBER that you have the right to disagree and not sign your signature or turn down any offer regardless if you are in dire need of money or cash loan or not. Always be cautious, the presenting officer has been trained to do his or her job so do yours as well. Also remember that you can sign the document even after a few days of going through with them. You can also ask for a copy of the document. It is your contract with the lending company and therefore it is your right to ask for a copy for review of the terms stated in that contract. It is very important to know payment terms and any conditions or agreement leading to foreclosure of property be it from a car loan, a real estate loan or house and lot or a cash loan without collateral. 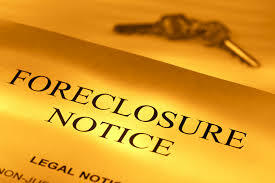 These terms will be your guide to stay away from ending up in foreclosure. Ask it straight to the loan agreement presentor. I’m sure they will oblige by all means. Remember that banks, nor lending firms don’t really care so much about if you can pay or not. Their obvious reason to lend money in exchange of a collateral or your post-dated check (PDC) is to lure you to big interest rates and penalty charges. If you fail to pay within the stated contract of payment of your loan, you won’t believe just how much humongous these penalty charges can be and how much the legal department will extend their smiles when they make you see how much legal charges will be incurred in your loan that you will wish you shouldn’t have opted in for a loan at all. As a loan professional loan consultant in the Philippines, by my own personal experience, for a car loan alone, legal charges upon failure to pay on time and on the stated amount will give you hundreds of thousands of pesos to pay for legal fees. Believe me, you won’t surely like it when you see your bill and next version of the statement of account on your email. Enter in the an amicable settlement with the legal department. Now, this case can be had only if you are sure you have other resources to pay for your loan amortization charges and penalties. Your best choice in this case is to talk to a loan consultant who knows what options you have before entering in to an amicable settlement with the bank or the private lending company legal department. Everything can be easily arranged when you know the right options. You’ll be surprised to learn that it can be done after all the failure to pay for your loan when you get cleared by talking to the right person. What you can do instead is to ask the legal department if they are willing to give you enough time allowance to come up with a payment scheme that would be reasonable to both parties and attainable on your end. Worse case scenario is to enter in to a loan restructuring program.